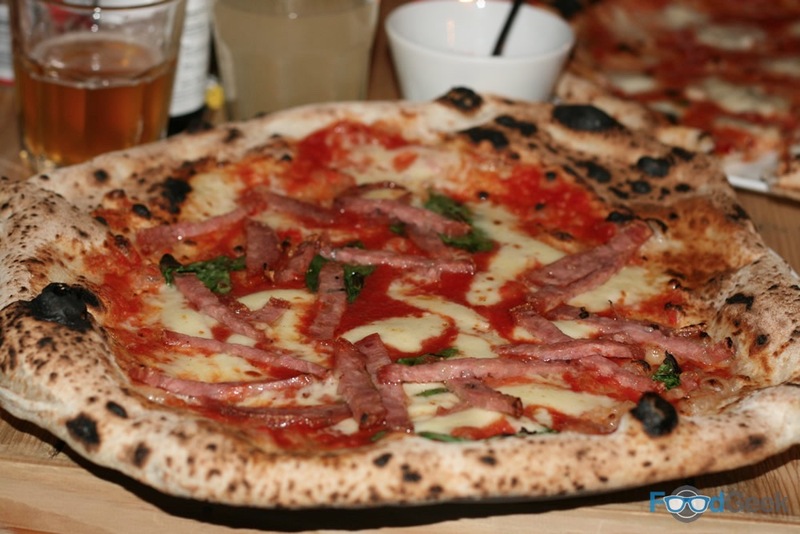 When I wrote about new Northern Quarter pizza joint PLY last summer I wondered why the best pizzas were coming from street food traders rather than restaurants. All the best ones seem to be coming from street food vendors like Rudy’s and particularly Honest Crust. 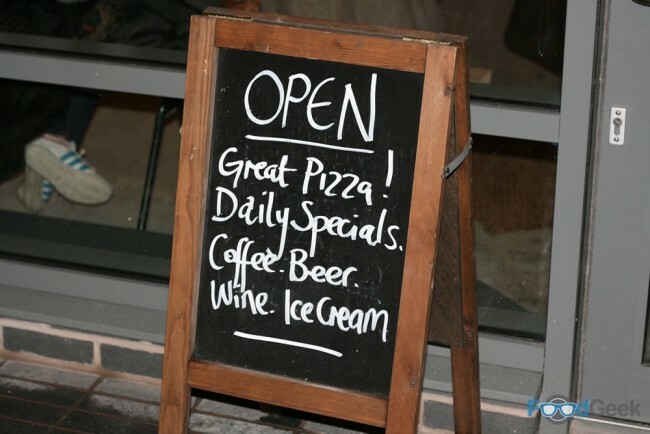 I just couldn’t understand why small traders can get it right whilst restaurants were continuously getting it wrong. It seems Rudy’s had the same idea as not long after that post they opened their own permanent place in Ancoats, the industrial area next to the Northern Quarter formerly known as ‘Little Italy’. The space is very basic inside but that doesn’t matter if the food’s up to their usual standard. 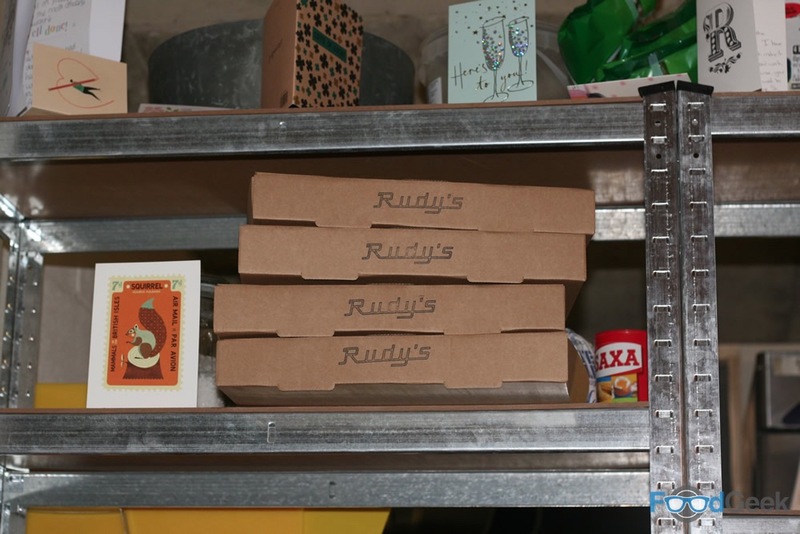 (I’d eaten Rudy’s pizza before several times at both street food events and a couple of private pizza parties). The menu is short but sweet; with around ten pizzas available and just a handful of other dishes including nibbles. 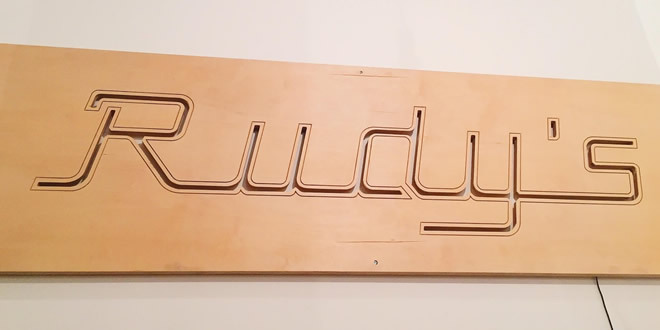 You don’t need to over-complicate your menu if you’re confident that your core product is good, which Rudy’s clearly are. 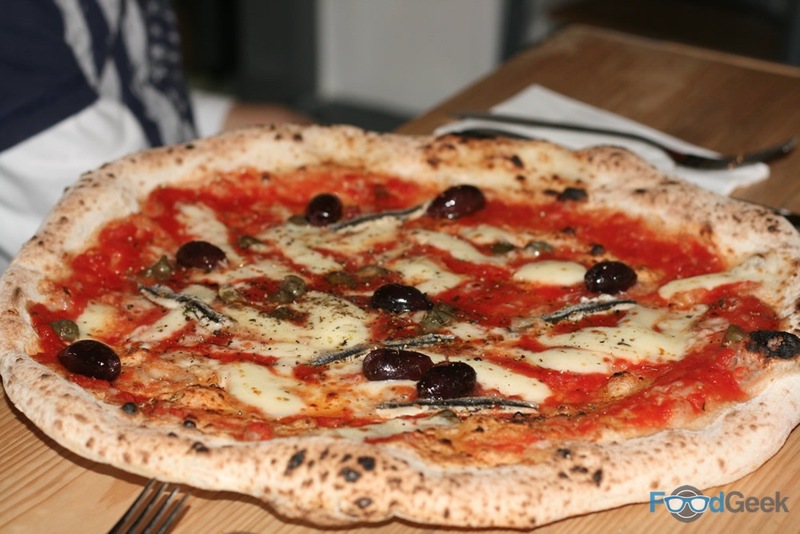 Their pizzas are all about the bases; proved for 24 hours, topped simply and sparingly before being cooked quickly at an intense heat in their wood-fired oven. 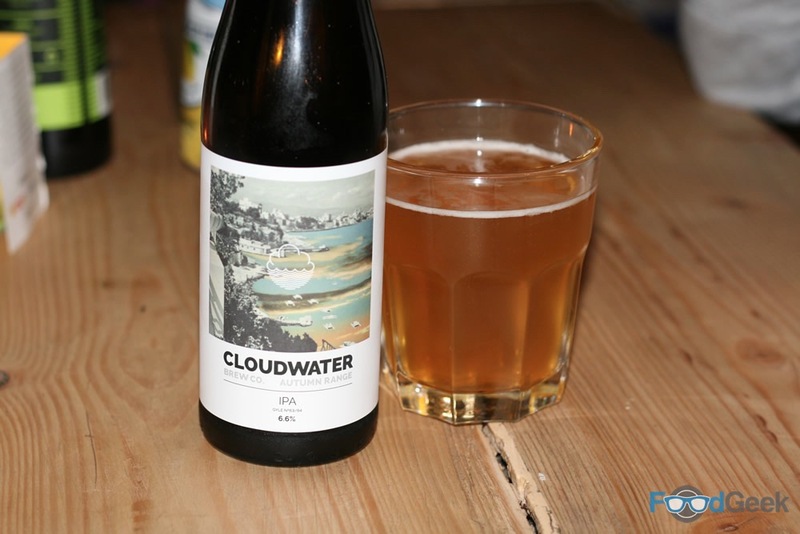 We tried a few and weren’t disappointed. The ‘Salame’ comes topped with deliciously meaty strips of Napoli salami, the ‘Portobello’ with a handful of chopped mushrooms and the ‘Tarantina’ with marinated white anchovies, olives and capers. All so simple, all fantastic due to the quality of the bases, toppings and cooking. 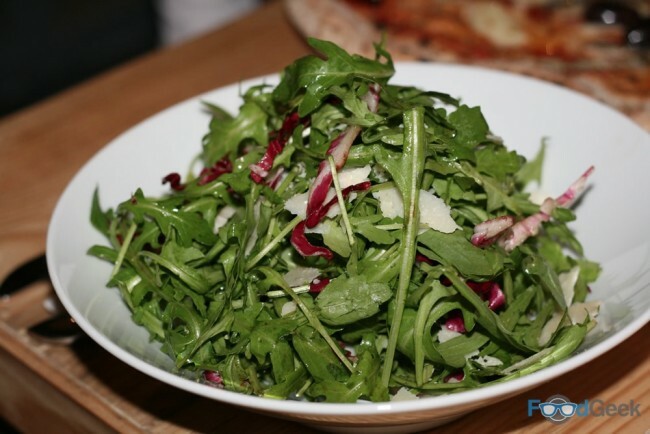 And a ‘Side Salad’ of rocket, radicchio and parmesan. 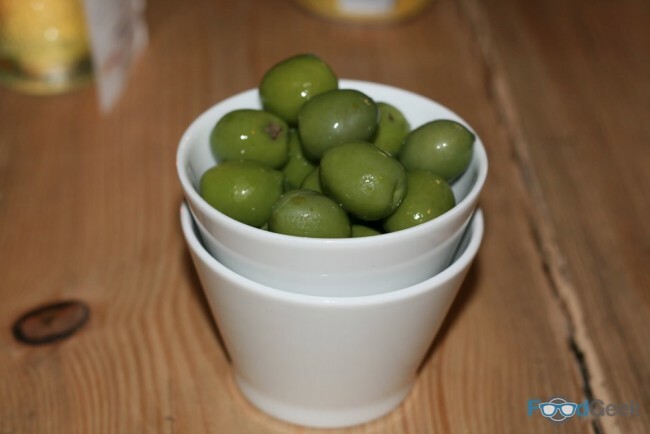 Not the most interesting but tasty enough and some welcome freshness to the meal. There’s nothing better to drink with great pizza than great beer. 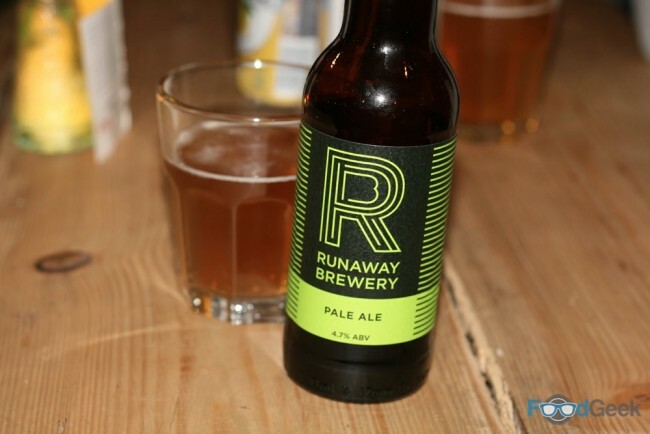 Rudy’s have that covered too with a range of quality craft beers available from local breweries including Runaway and Cloudwater. Desserts were also fairly simple but very good. 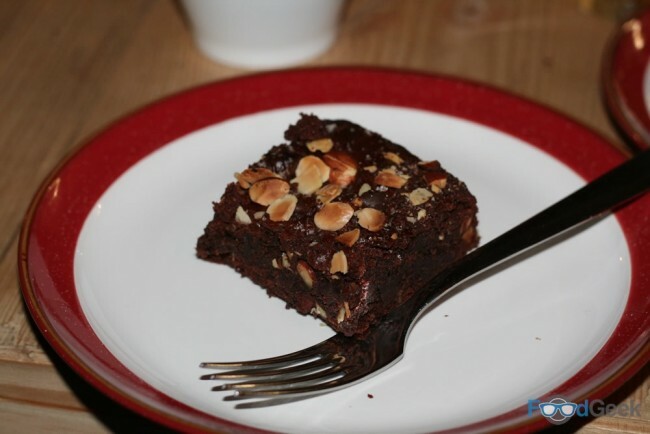 First a lovely and gooey, nutty, chocolate brownie topped with almonds and finished with sea salt. And Rudy’s signature dessert ‘Torta Di Mele’. 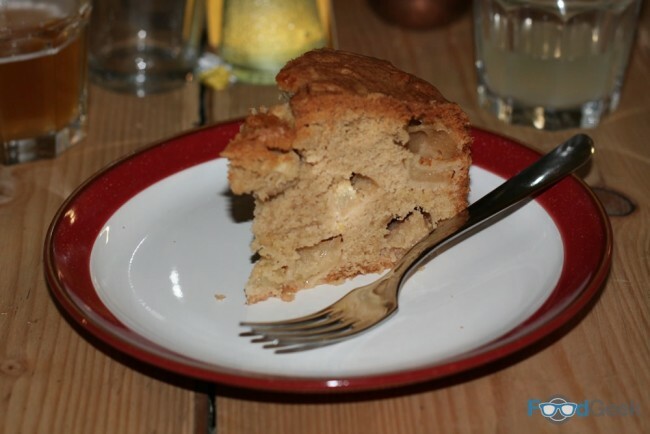 A traditional Italian apple cake made with olive oil. Super moist and delicately flavoured with lemon and cinnamon. 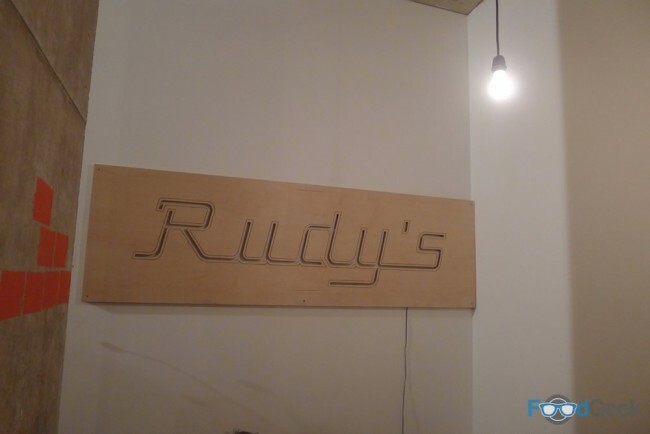 Overall I really liked Rudy’s. It doesn’t feel quite like a proper restaurant setting yet, but I’m sure they’ll improve the interior in time. 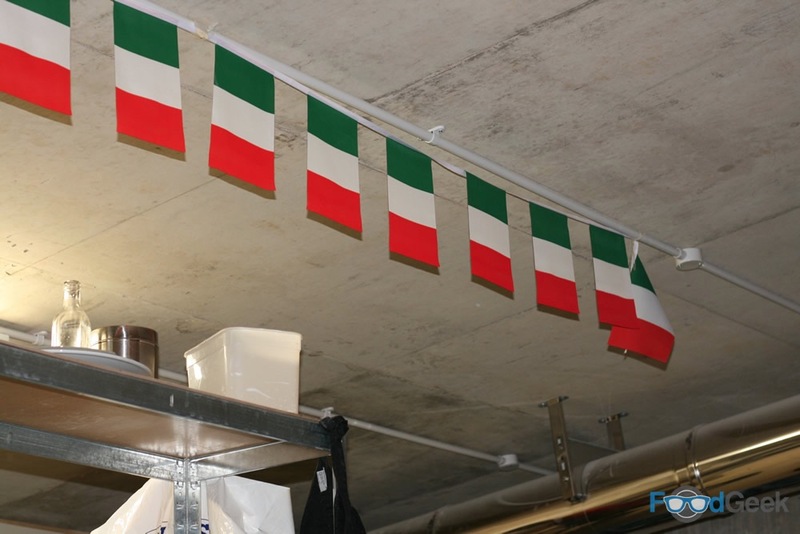 It’s more than worth it for the quality of pizza alone. It’s great that they’ve managed to maintain the same standards that they were producing at street food events. 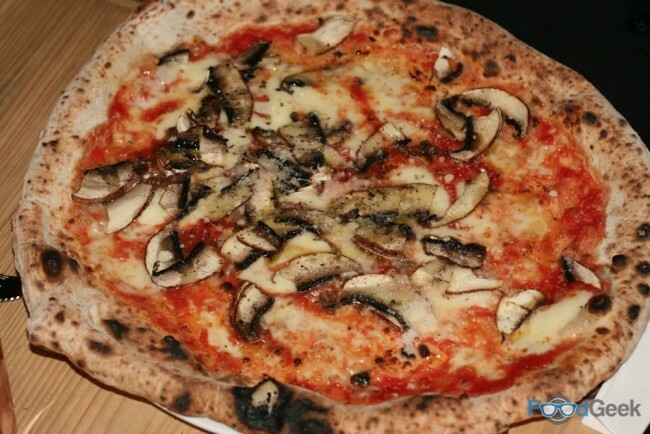 I can’t think of anywhere in the city serving better pizza at the moment, and it’s such a humble dish anyway it doesn’t really benefit from being served in a swanky restaurant. 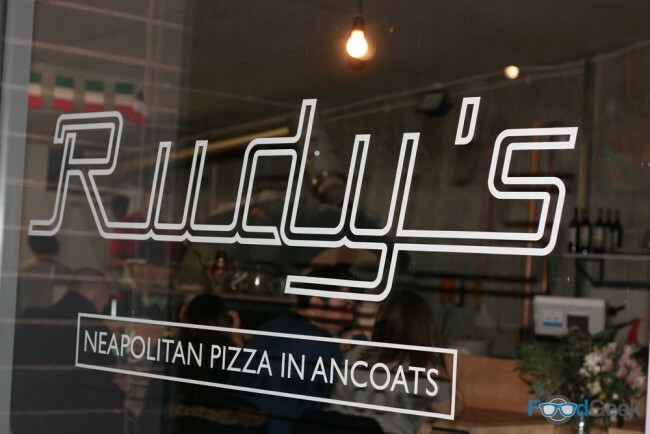 Rudy’s is fantastic value too with most pizzas costing around £7/£8 and a couple even under £5. I’ve got to try this place – this is the second glowing review I’ve seen about it recently.